And African American Grandma X is raped by an Irish gent. Where the mouth of my South African root is fed. Believe it or not makes me one. I claim all of me and the beauty of my humanity. But rather the restriction of the box you constantly want to put me in. But would it matter if I where white? So you make excuses ‘cause I’m light. But what are you saying about my fellow brothers. Ahoi sista!!! Let’s get Irie high!! Not considering the convenience of not having to relax, perm, braid, blow or die! There’s no profound statement in these locks that consume my head, I just couldn’t be bothered to wear a doek every time I go to bed. And that strength is not mutually exclusive of overflowing rushes of vulnerability. I need someone to embrace my vulnerability and not run away from me. I have it in the palm of my hand and I lose it all. And finally I’m breaking free!!! Allowing us to engage our differences on a platform of similarity, simultaneously. The point is I thank you. I thank you for the confliction, I thank you for the contradiction, I thank you for the restriction of this box you constantly put me in. I am totally blown away by your amazing talent. Your story resonates with me. Thank you for giving us your gift. Naima is an enormously talented writer, poet and vocalist born in New York City and raised in numerous cities across South Africa. She has earned a degree in theatre and performing arts from the University of Capetown, performed, acted and sang in South Africa and Europe. 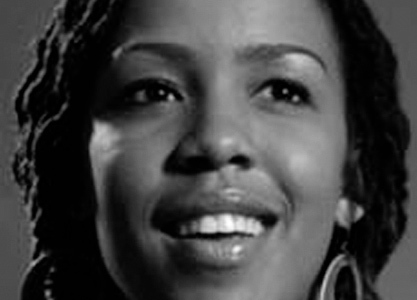 Naima performs as a poet in her personal capacity as well as with the collective Rite 2 Speak, a group of young South African theatre practitioners, who felt that the voices of their generation were not represented in theatre. The collective fuses the performance of poetry, music and theatrical aspects as a vehicle to encourage physical engagement with the audience. Naima’s current TV roles include cameo features on one of South Africa’s most watched TV dramas Generations, presenting for South African Coca Cola game shows as well as a feature character in the internationally renowned UK TV series Wild AT Heart.